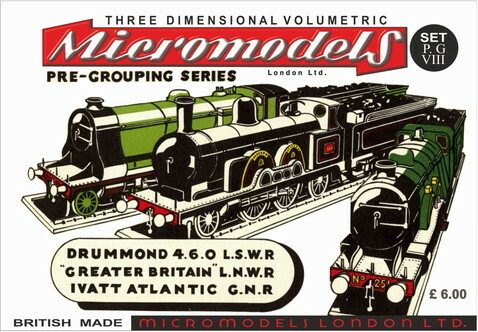 Name Drummond 4.6.0 L.S.W.R., “Greater Britain” L.N.W.R., Ivatt Atlantic G.N.R. 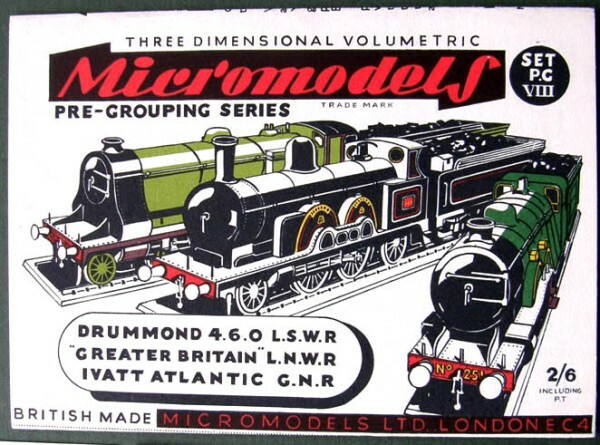 Description First and only printing in 1953 at 2/6d. Large stocks survive through to the present day. 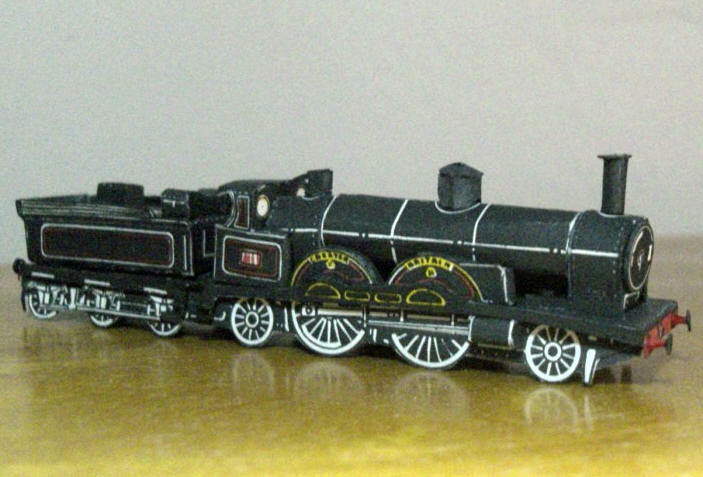 It is strange is that PG VIII pre-dates PG VII and that one of its locos, the Drummond is from the missing PG VI. 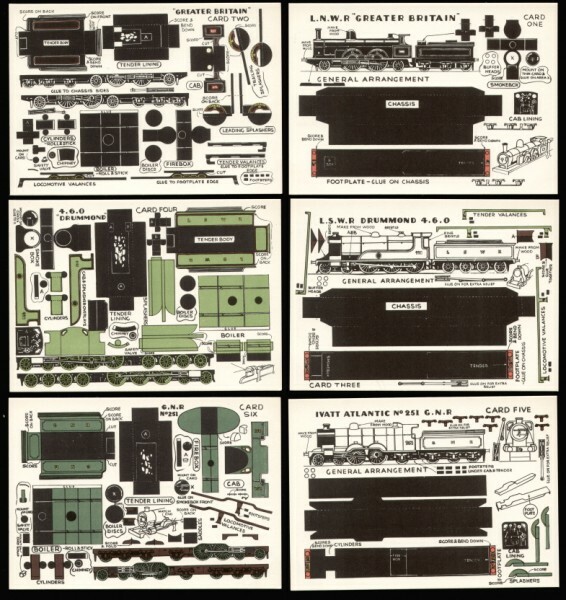 “Set PG VIII was one of the later Micromodels kits featuring locomotives. 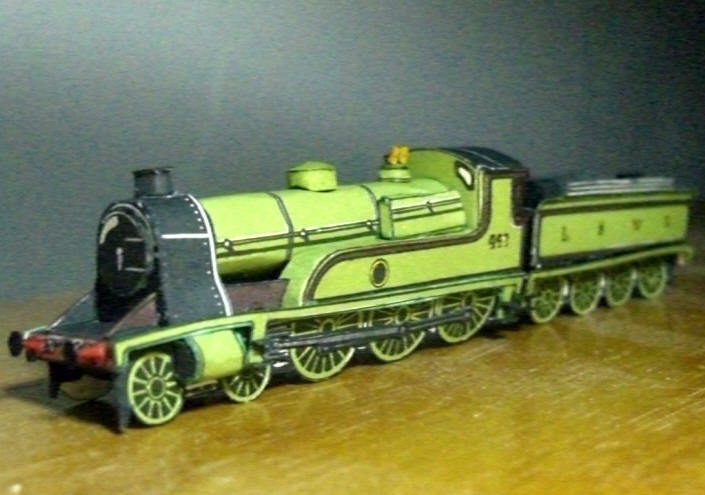 It seems by this time they wanted to include more detail including fully drawn wheels with overlays for the coupling rods, axle boxes, and smokebox front. 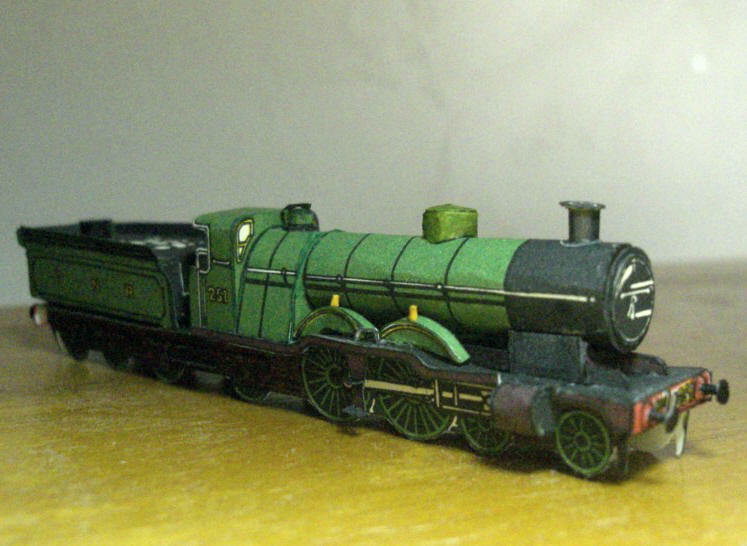 While this takes longer to build, the final result is second to none, in terms of detail.